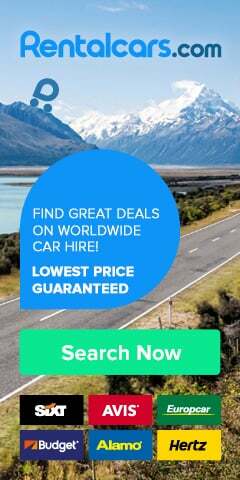 Hiring a car is definitely the best way to explore Croatia as you will be able to have freedom to stop whenever you want and also explore off the beaten paths of the country. If you don't travel by your own car you can hire the one from rental agencies. All major car rental agencies are represented in Croatia and you will find their offices in almost each city as well as at airports and ports. We suggest you to hire a car well in advance if you are visiting Croatia in the high season as the prices tend to go up when approaching the summer season and you will have fewer options available. 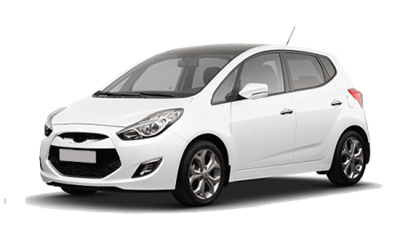 We suggest you to hire your car in advance using Rentalcars booking system which offers the best deals from all major car rental companies and is very simple to use. You can choose to book cars from any destination in Croatia as well as any Croatian airport (Dubrovnik, Split, Zagreb, Rijeka, Osijek, Pula). In order to rent a car in Croatia, you must be at least 18 years old (age restrictions may vary depending on car category), and have held your licence for at least one year. Drivers under 25 should be aware that they may incur a young driver surcharge. When hiring a car in Croatia be aware of one-way rental fees. If you plan to pick up your can at Zagreb Airport and then return it in Dubrovnik, be prepared to pay an extra fee. The same goes for picking up and dropping the car outside the office hours. Credit card is compulsory when hiring a car in Croatia. The car hire company will pre-authorize your credit card for a security deposit so make sure you have enough money on your credit card. Before you leave your car be sure to check it for any damage and make sure it is recorded. Also, don't forget to refill the car before returning it. Otherwise, you will pay the huge fee. Your rental car is allowed to take on the local ferries (those going between the mainland and the islands). However, for taking car on the international ferries valid registration papers are required to be in the driver's name. For driving through Bosnia & Herzegovina you don't need a cross-border card since these two countries are included in the green card system that your can rental insurance company supply for travel within Croatia. You can read more about it on the web site of the National Green Card Bureau to avoid paying the extra. Traffic travels on the right-hand side of the road and cars entering a traffic circle have the right of way. School buses have the right of way when leaving a stop. There are many public parking lots found in major cities in Croatia, such as Dubrovnik, Split and Zagreb. There are also numerous metered parking areas located throughout the country. Drivers must carry a valid driver´s licence, registration documents, and insurance documents at all times while driving. Petrol stations in Croatia are generally open from 6 a.m. to 8 p.m., with some stations in major cities and on the highway open 24 hours.